Universal Traffic Recorder for the video recording of situations ahead of your vehicle – when driving and parking. 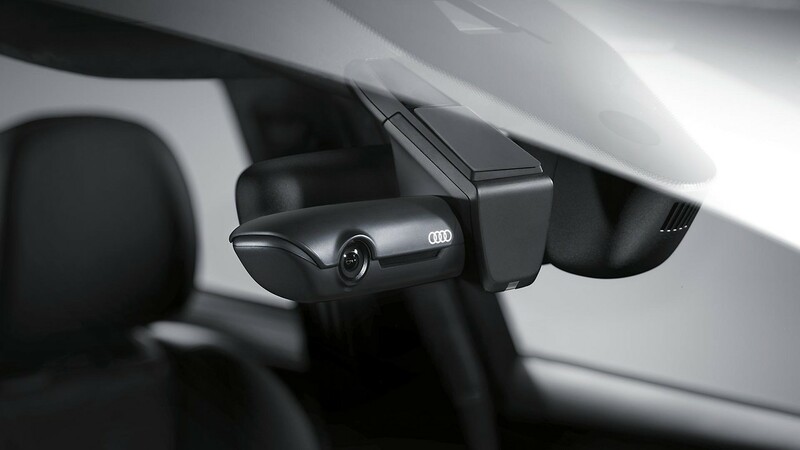 In Standard, Event and Park modes the camera system is fine-tuned for the various driving and parking situations. The recorded situations are saved on a removable SD card. User specific settings can be carried out using the respective Audi UTR App. Other functions such as Car Finder and Live View are also available. The Universal Traffic Recorder fulfils all the respective points of safety standards ADR 69/00, TRIAS 47, ECE-R94 and 96/79/EG. Continuous video documentation while driving and parking. Ready for use over several days. Includes app for easier operation and user specific configuration.